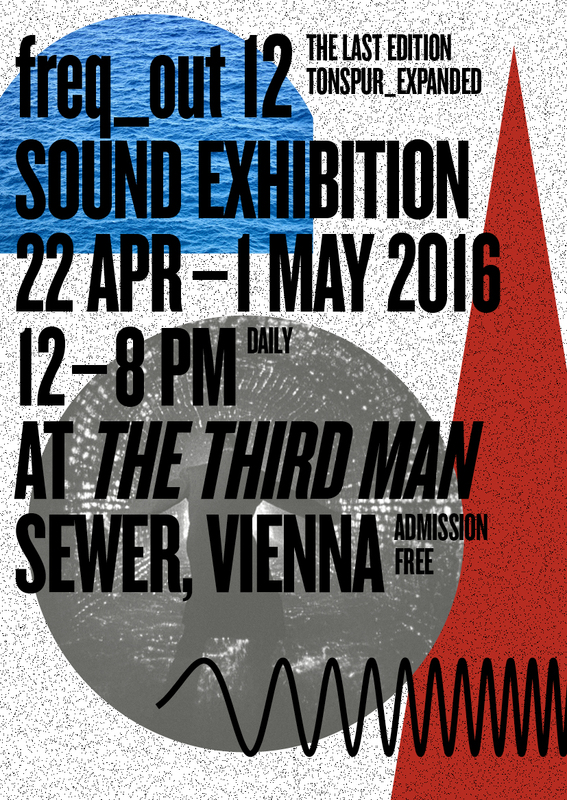 freq_out 12 audio installation will occur in Vienna from April 22 until May 1, taking place in the sewer at Girardipark, 1010 Vienna, which was the location where parts of the classic Orson Welles noir film The Third Man was shot. Along with many of the regular contributing artists, this edition of freq_out will be including guests Peter Rehberg of Mego Records and Hans-Joachim Roedelius of legendary German group Cluster. 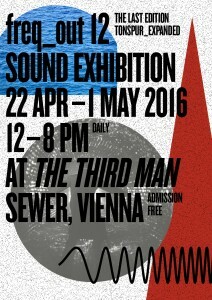 The opening will be on April 21 with the installation running April 22 to May 1, 2016 daily 12 to 8 pm. Admission is free. In addition there will be a concert by the assembled freq_out artists under the title freq_out orchestra at 3 Schillerplatz, 1010 Vienna on April 22 at 9pm. The score for this event will be created by JG Thirlwell.